Enjoy upscale accommodations, warm service and a location convenient to everything you need at this full-service Wyndham Tulsa. Reach the Tulsa International Airport in minutes on the complimentary shuttle. Also just nearby are major highways, Tulsa Expo Square, and corporate headquarters including U.S. Cellular and Labarge. 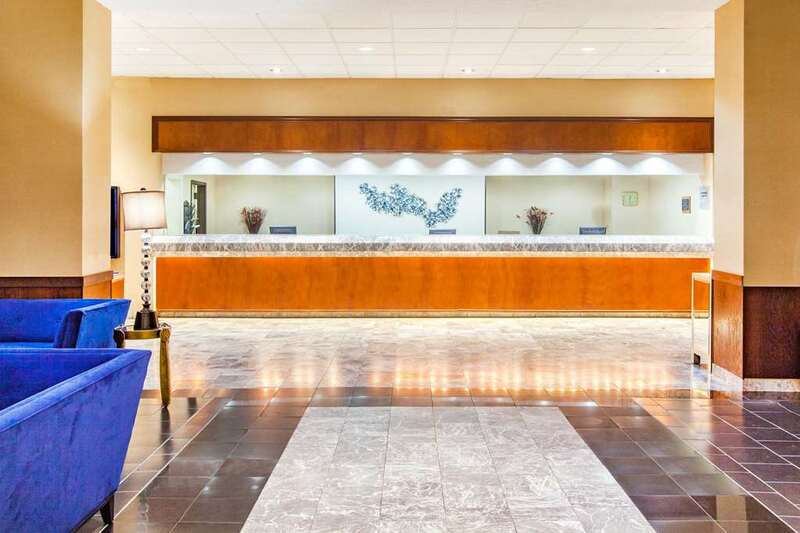 Business travelers will appreciate the complimentary wireless Internet and 24-hour business center and families will love the indoor water playland for kids. There is also a 24-hour fitness center. Two onsite restaurants serve all meals, and there is a sports bar and lounge. The Wyndham Tulsa is fully equipped for conferences and business functions, as well as weddings and parties, with over 14,000 square feet of meeting space including banquet facilities. Pets are welcome here, and guest rooms feature premium bedding, True Blue Spa products and a well-lit work desk. Select rooms are available with hot tub.